Scuba diving is a popular sport that involves a great deal of training before becoming certified. As a diver, you are able to travel to deep parts of the ocean, and if you’re not properly trained, you can easily cause harm to yourself or other divers. Smartphones and tablets have recently come to aid divers, and the following apps provide useful tools for all divers, no matter what skill level. Want to find the nearest place to dive? Use the DiveTime app. This app uses the phone’s GPS system to track where you are and provide you with scuba sites in the area. You can also search for dive shops too if you need to pick up some new gear. The map feature will show you how to get to the location. The app provides in depth detail on the sites too, such as specialties, type of dive, experience level required, currents, marine life and much more. You can even save the location to locate the dive destination at a later date. Use ScubaExam to study for your upcoming certification test. If you already have your diving certificate but haven’t dived in a while, you can use the app as a refresher to make sure you know what to do. This app features 250 questions to help you study. The app’s exam feature also contains detailed information regarding the answers you get wrong to help you learn the real reason. You can even keep track of how long it takes you to complete the quiz as well as how many answers you got wrong. If you want, you can even share your results with others. 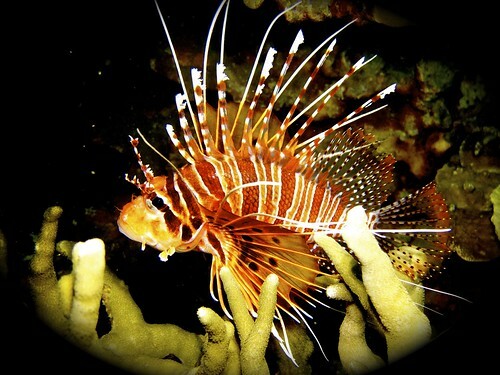 Spectacular view of a Lionfish taken by a scuba diver. Want to know what kind of waters you’ll be dealing with on your next dive. Use the WorldTides app. This app uses innovative technologies to determine the tide predictions for seven days. you can even use the app if you don’t have Internet connection, making it great for those last-minute decisions. The app contains information for 3,500 ports throughout the world. Why opt for professional navigation systems that cost thousands of dollars when you can have the same information on your phone? Plan your dives based on information from iScuba. This app will contain all your diving information, and iScuba works with your Nitrox mix to store data for later use. Use the app to see your before and after pressure groups. Keep track of time, gas, dive and NDL information in color codes, with yellow meaning warning and red meaning dangerous. You can also see the changing effects that would occur if you made certain decisions. If you’re a scuba diver, make sure that you have these apps downloaded before your next trip. This way, you’ll be able to find out a great deal of information from the palm of your hand instead of using other equipment and tactics. Plus, if all your pertinent information can be stored in one location, it will allow you access information from anywhere. Noah Parker lives in Denver and works with a travel agency. He enjoys writing about golfing, scuba diving, and traveling in his spare time. Noah also writes interesting articles for a Los Cabos golf resort. Image Credits: Macorig Paolo and Robert Scales. 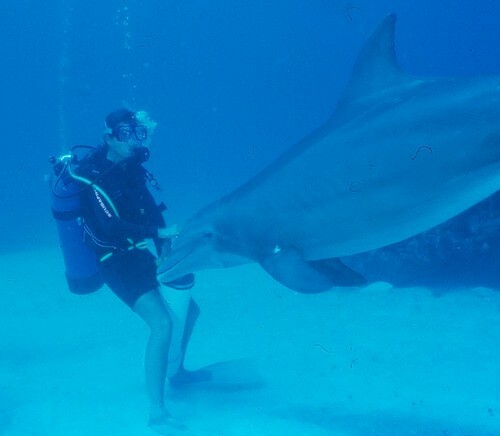 Hi Jane, thanks for the great travel tips, the reviews, and the hints, including the must-have apps for SCUBA divers. Nice collection of diving apps, especially the tide prediction one. It ;helps to know the best times to be underwater and we can trust tech to do this for us now. Today, there are apps for just about everything, including hiking. It makes things much easier for outdoor enthusiasts. You did well to cover these five apps for divers.